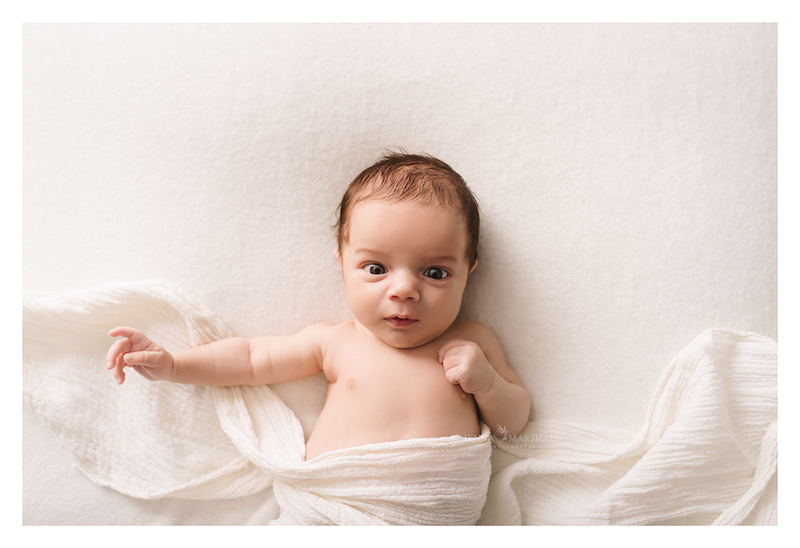 As a newborn photographer in Hertfordshire I get booked up months in advance. 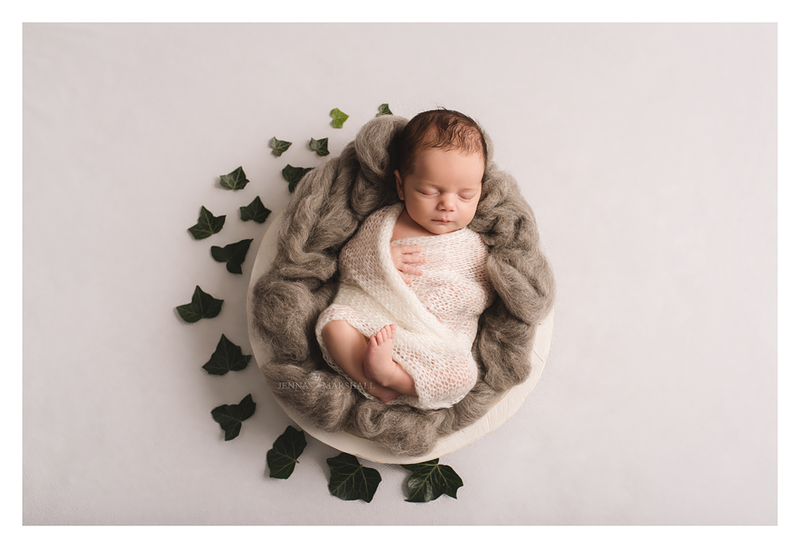 If you are thinking of booking a newborn session with myself I highly recommend contacting me after your 12 week scan. This ensures a space will be available for your baby. To book in or enquire CLICK HERE. 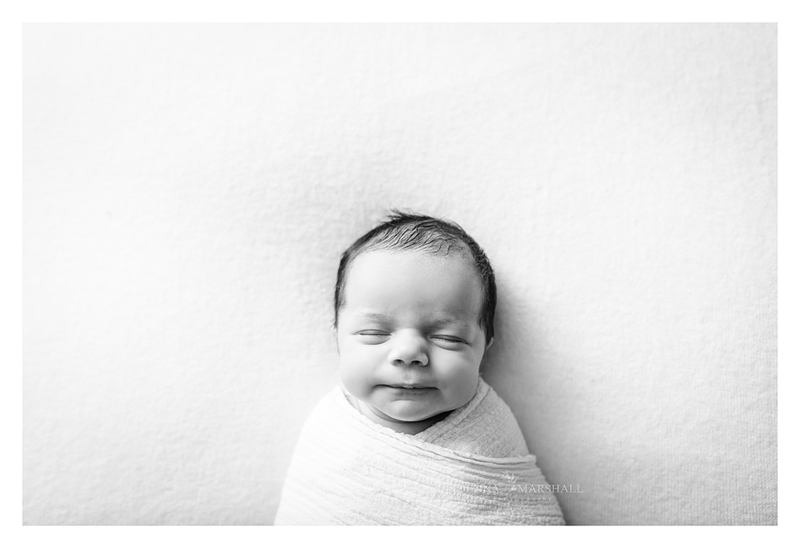 The session I am sharing today is 5 week old baby Beau. 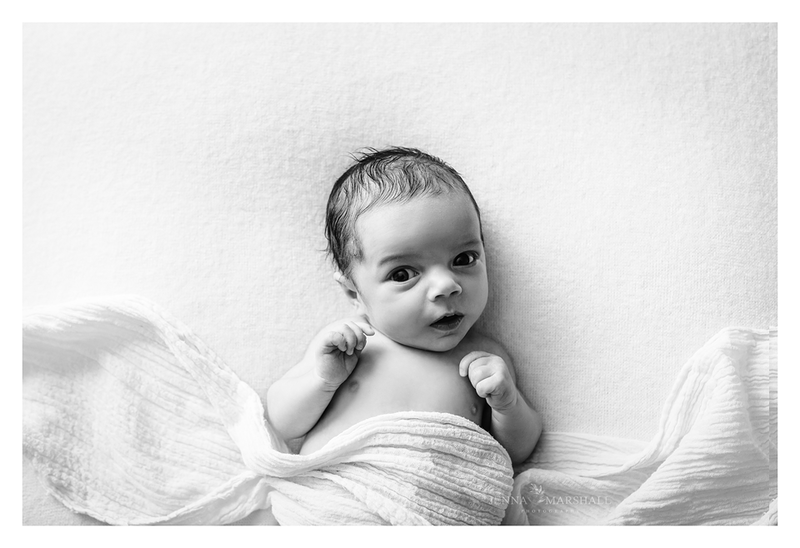 Beau had complications that kept him in hospital for 2 weeks after his birth. He had the most gorgeous dark hair! 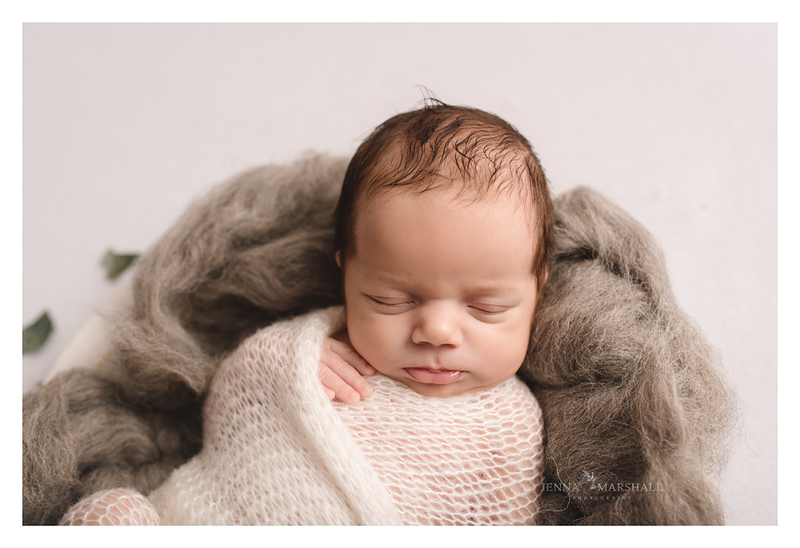 He also did not want to sleep which is often a difficulty with older babies. 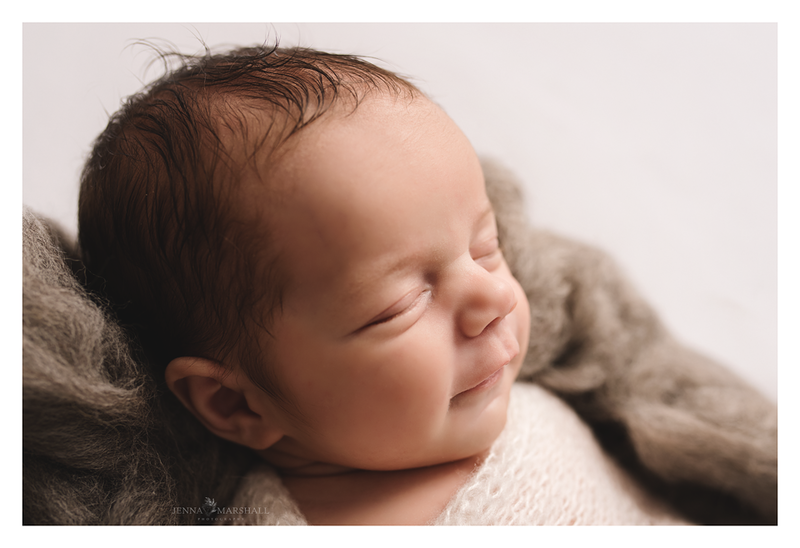 However it meant we managed to get a few lovely awake portraits of the little man. oh that smile – love this picture. What a sweetie. Beautiful images Jenna!